Sponsor a C&EN Webinar and you’ll get 45 minutes to present on your topic, plus a live 15-minute question and answer discussion at the end of the broadcast. 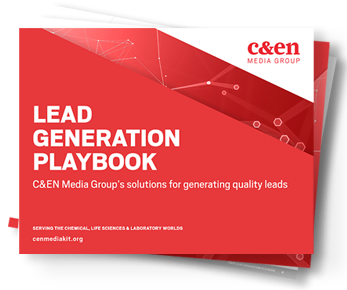 C&EN prepares all marketing materials and generates leads from our pool of interested and influential contacts, including ACS Members and C&EN readers, while you enlist your company’s subject-matter experts to discuss your technologies and industry. Follow our webinar guidelines to ensure your webinar is set up for success. The C&EN Webinar program is a go-to source of information for updates on products and services for companies across the chemical, instrumentation, materials and life science industries. Webinar attendees range from lab chemists to CEOs seeking the most innovative services for their company. Solutions and case studies for the science marketer. Why event marketing is an important part of your marketing mix. C&EN’s solutions that will help surround your target audience before, during and after events and tradeshows. Case studies of successful campaigns with onsite publications, custom event solutions, booth activites, and more. How do you Harness the Power of Webinars?